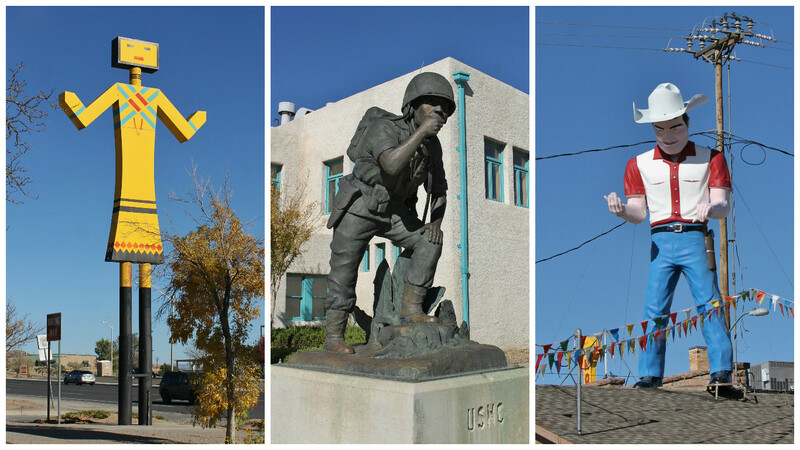 October 23, 2016 we moved to the Enchanted Trails RV Park, in Albuquerque, NM. 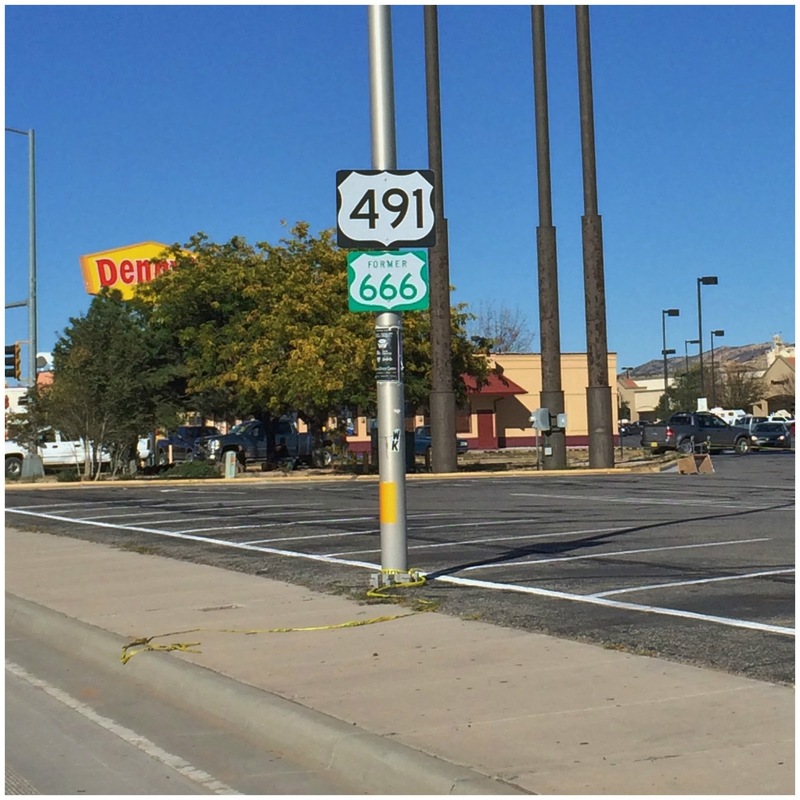 Once again we were right on Route 66. The park has about 100 sites, some permanent but kept up very well. The entire place is gravel and the sites were pretty tight. 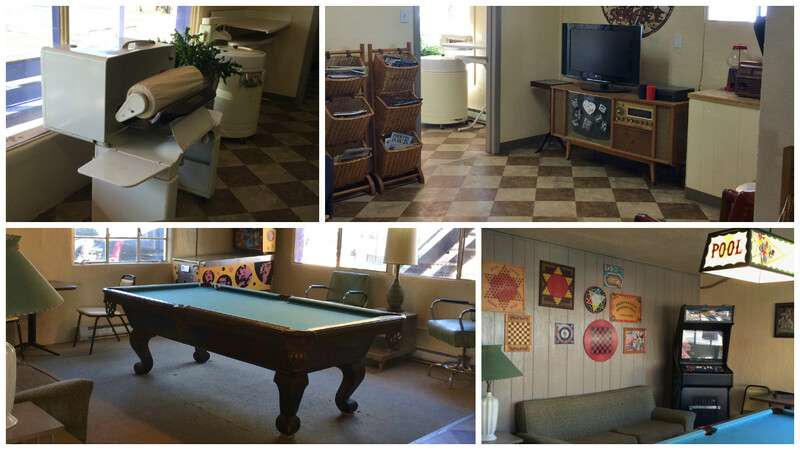 They have a Trading Post store, a TV room and a game room with a pool table, arcade games and board games to play. The laundry room and bathrooms were very clean. Wifi was not great but our Verizon signal was strong. We were just off of I-40 but the road noise was minimal. 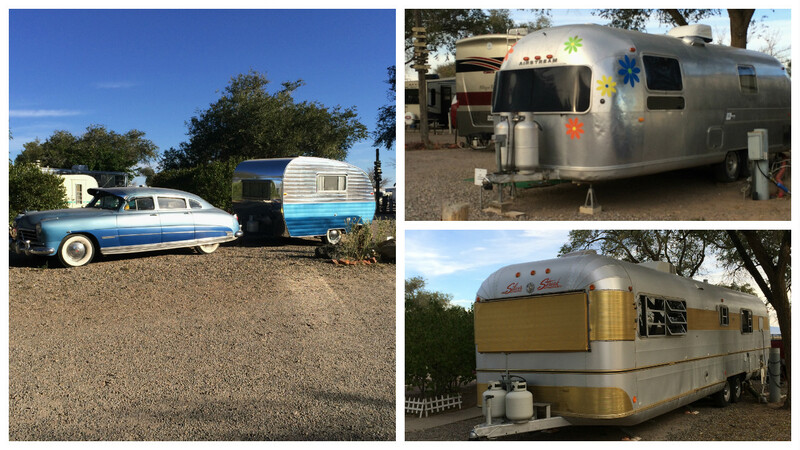 They have four vintage trailers that you can rent out for the night or week. Three are set up with a little court yard in the center. Very cool idea. We paid $20 a night with a combination of our Passport America and Good Sam discounts. 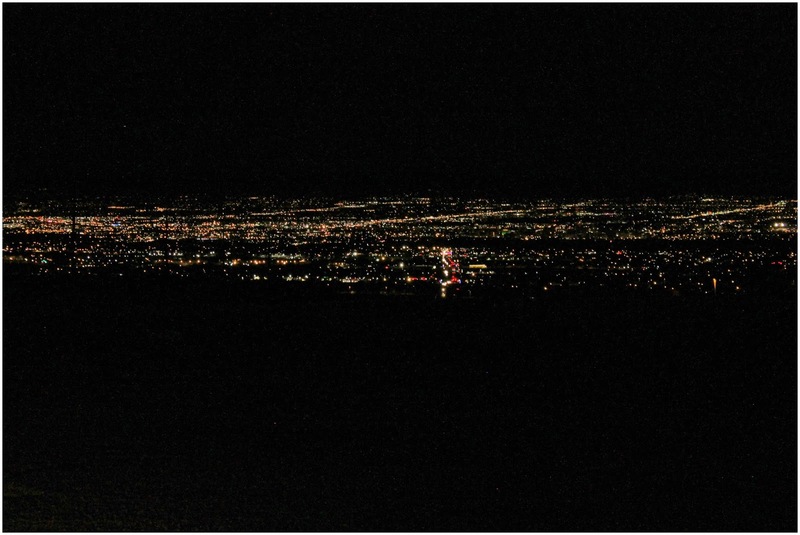 Albuquerque is a large bustling city. Route 66 which is Central Ave runs from one end of town to the other. 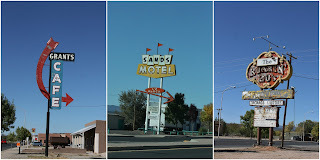 There are a number of hotels and buildings left from back in the day. 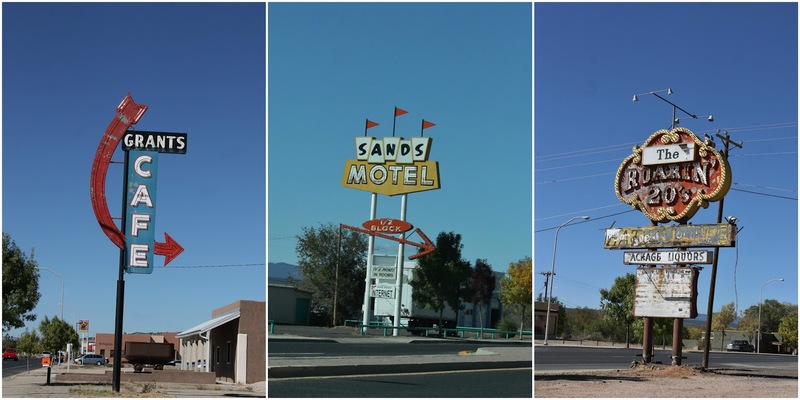 The DeAnza Motor Lodge was one of only a few of the nearly 100 motels that opened it's doors for black travelers. It was a popular stop for artists and traders. The onsite diner had thousands of pieces of turquoise embedded in the floor. The building sat empty for years. The city bought it in 2003 and it is now being converted in a condo/hotel property. We left Mielikki home and wandered the Nob Hill District. 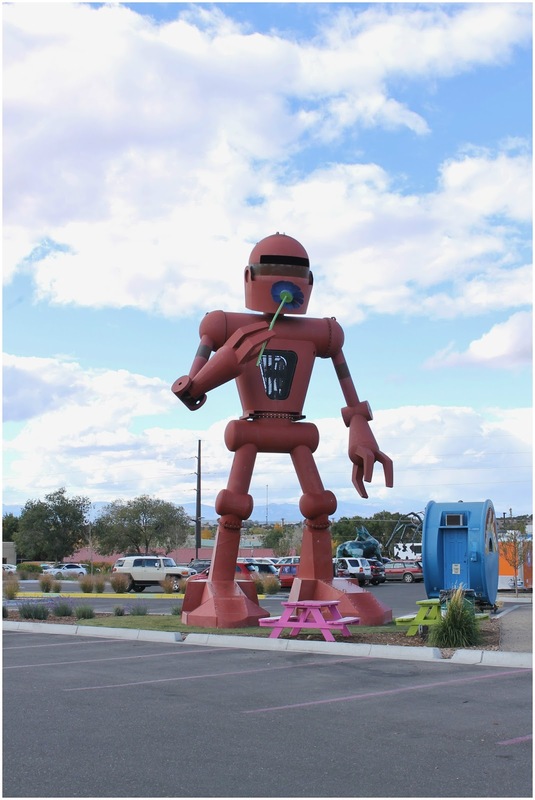 This area has New Mexico's first drive-in shopping center, built in 1947. The 15 block area is filled with stores, restaurants, motels and coffee shops. 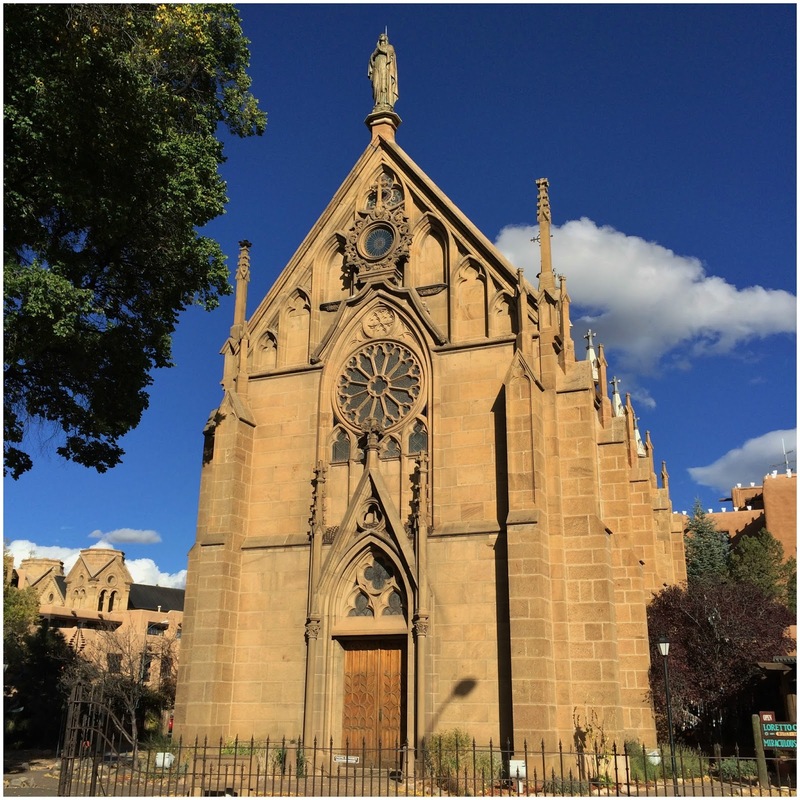 Being just off campus of the University of New Mexico has helped to keep this area alive. A number of the old gas stations now house other businesses. One is Kelly's Brew Pub, where we had lunch. It is an old Texaco Station, food was good and so was the beer. The Kimo Theatre was built in the early 20's and was considered one of the most unique at the time. 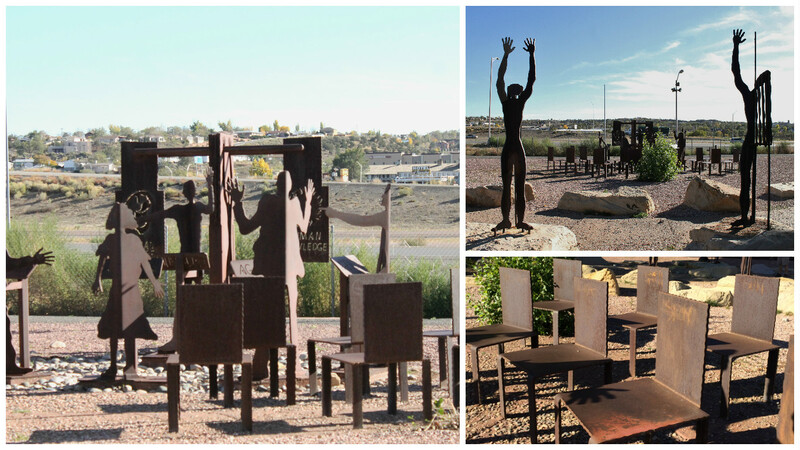 There are a number of murals and sculptures throughout town. We loved the idea of the Empire Board Game Library, you pick a game, pick a table, order your food and drinks and then have fun! 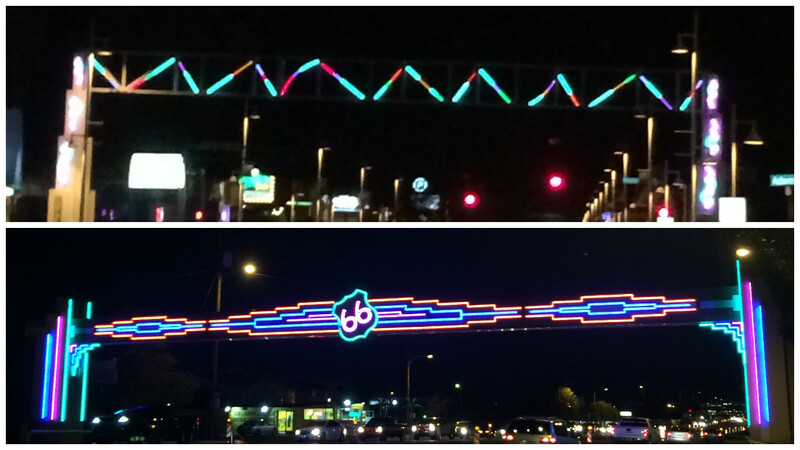 We drove through town after dark to see all the neon. 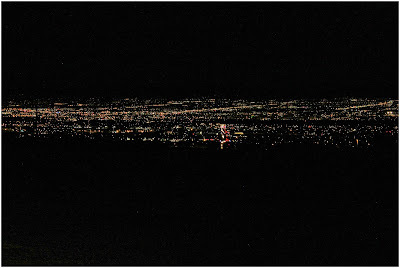 As you head west out of town you drive up a hill and the view from there at night was amazing. We headed back to Santa Fe from this stop. We took the "Turquoise Trail", which is Hwy 14. Named for all of the turquoise mines that were once along this road. Just before you get to Hwy 14 on Route 66 there is a stretch of road that plays music. National Geographic put rumble strips on the edge of the road. You have to drive 45 mph with your right tires running over the strips and you can here a snippet of the Star Spangled Banner. It was so cool, we turned around and drove it twice. We tried videoing it but it is hard to hear the music over the road noise. A stop at the Tinkertown Museum was a must. It is quite impressive. 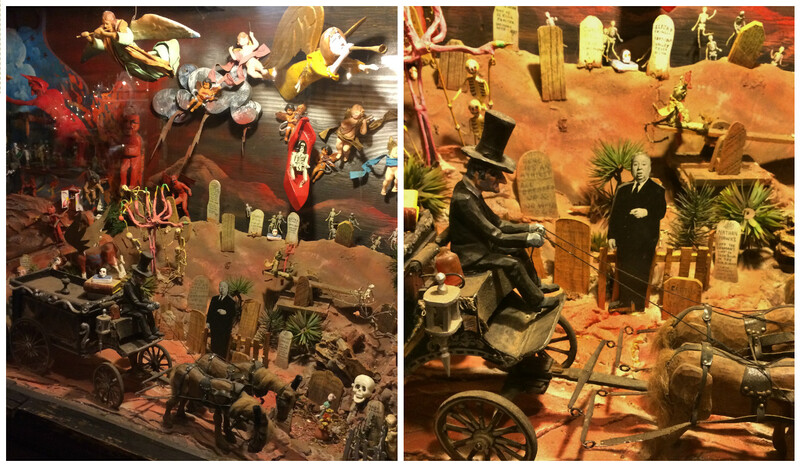 Each room is filled with miniature displays. 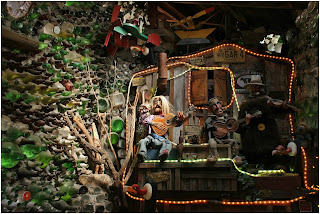 Ross Ward carved all the figures and built the scenes. There is so much in each display it is hard to take it all in. 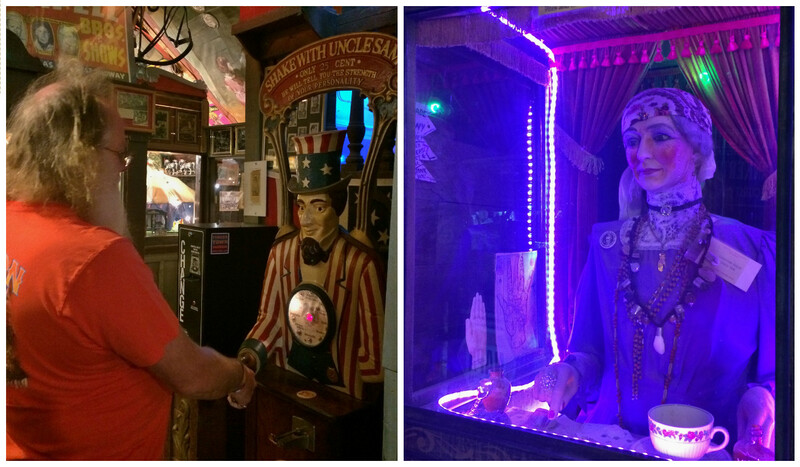 There a number of moving displays that play music or the sculptures dance or move and old fortune teller machines. 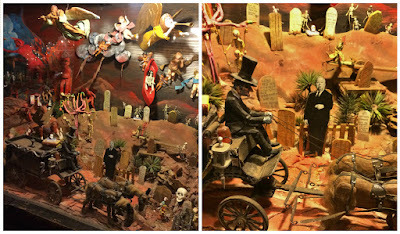 The graveyard display even has Alfred Hitchcock in it. 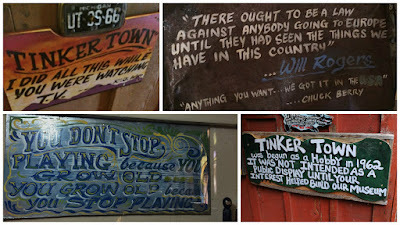 The hallways are lined with posters, paintings and license plates from all over. 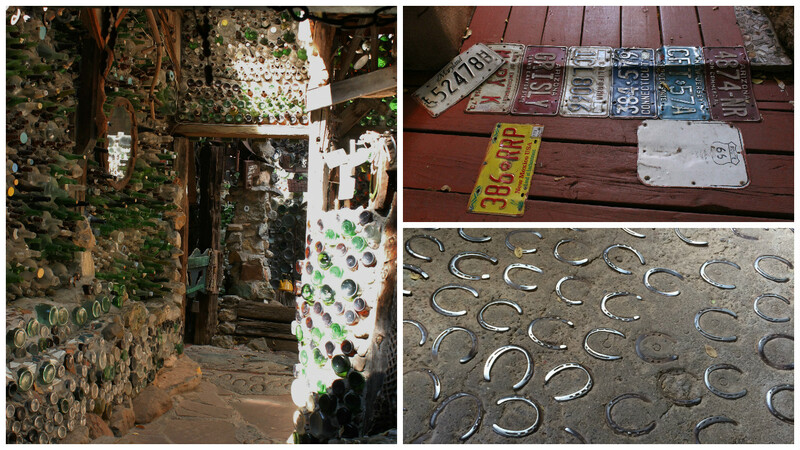 The walls are glass bottles of all shapes, sizes and colors. 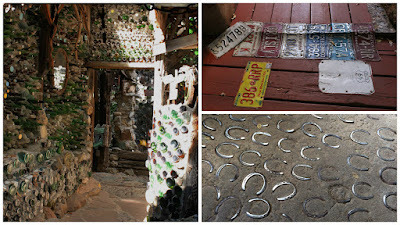 The cement floors have horse shoes in them. There are quotes and sayings throughout the museum. We liked the one about watching TV - today you could insert Facebook! Makes ya wonder how much you could get done - a problem Nancy thinks about a lot but it doesn't change her habits. One display was a reminder of home. Big Louie was 8'4" tall and was born in Hancock, MI in 1887. 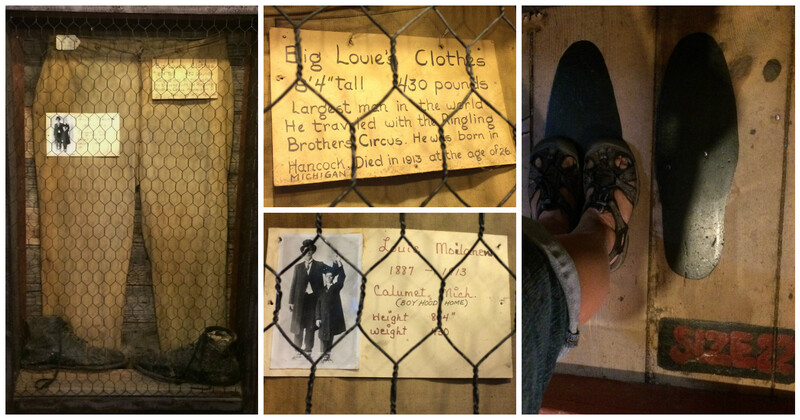 They have a pair of pants and his size 22 shoes on display, Nancy could put both feet in one shoe. Next stop was in Madrid. It is an artist enclave and Nancy could have spent hours there, or maybe years. 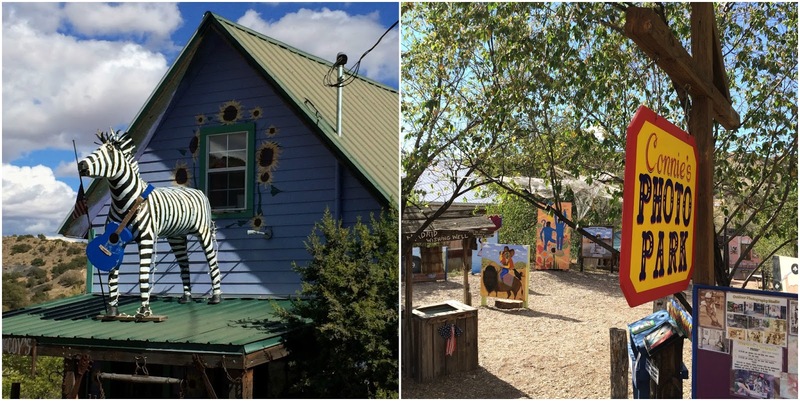 The whole town is artist studios and galleries. One had a zebra on it's roof, yes Nancy wants one, or maybe a giraffe. 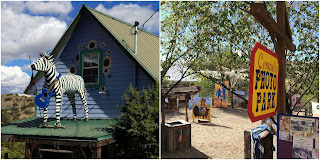 One artist has created a photo board park - all different kinds of photo opps to choose from. 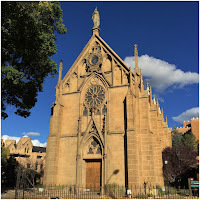 Once in Santa Fe we stopped at a few shops we missed the first time around and found some roadside oddities and the Loretto Chapel. Inside the chapel is a curved stairway but we got there too late to get in. The outside was worth stopping for. 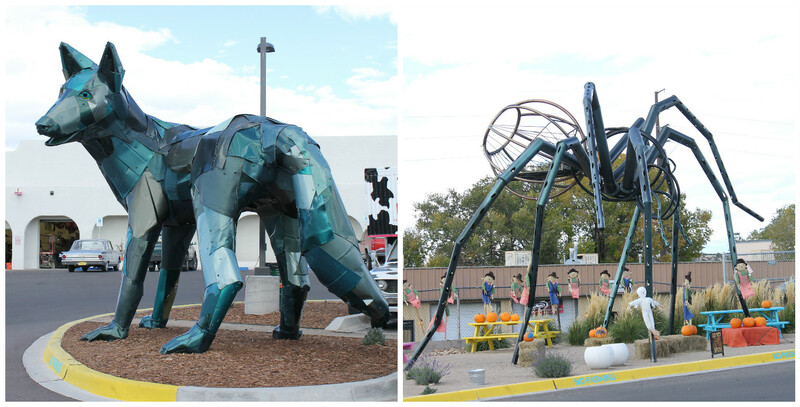 The roadside oddities were a large spider, a wolf and a towering robot. Heading west out of town we traveled to Gallop. Along the way we made a stop at Nine Mile Hill, where you get a great view of the surrounding mountains and the valley. 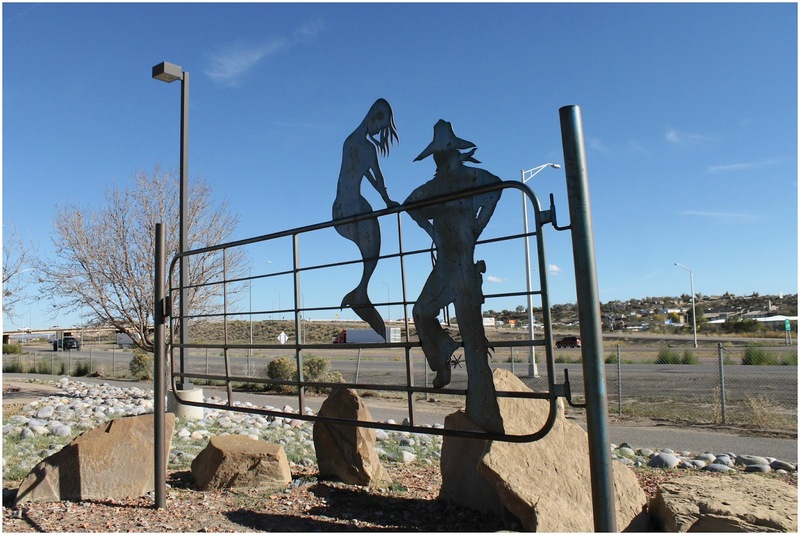 The Rio Puerco Bridge, built in 1933 is 250-feet long, one of the longest in New Mexico. It is now closed to traffic but you can park and walk across it. After seeing the buckles in the road we know why it is closed. Route 66 in this area takes you through some beautiful landscape and some very twisty curves. One rather sharp curve around a rock mound is called Dead Mans Curve - and for a good reason. The San Jose de la Laguna Mission Church in Laguna was built in 1701. 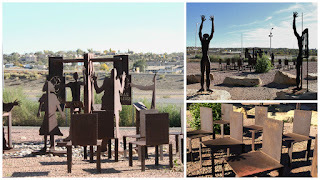 You will also find Pueblo ruins here, these are said to be some of the best ruins in the area. An abandoned 1920's Gas Station is the only thing left in Budville. While driving through San Fidel the view of the mountains and the fall colored trees was hard to resist. The Santa Maria de Acoma Church built in 1933 sits on a hillside in McCarty. The view from there was beautiful, they have benches along the edge of their parking lot so you can sit and enjoy it. Just past the church you start to see lava rocks along side the road. It is part of the Zuni-Bandera Volcanic Field. This section is the youngest lava flow, at just 3,000-years old and is one of the youngest in the 48 contiguous United States. It was strange seeing so much volcanic rock in this area. While we were stopped for pictures a horse came galloping from behind the mound and ran right up to the fence. Moments later a second horse joined him, and then a third horse walked slowly towards us and then stopped. It was pretty cute to see. Grants was the next stop. 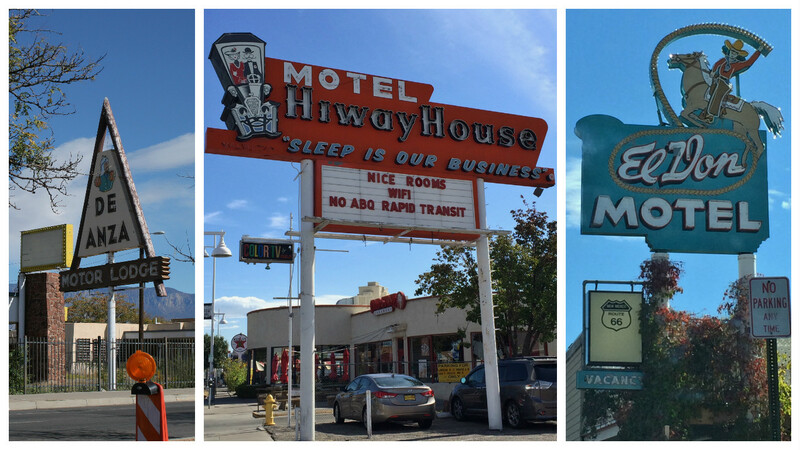 There were a number of motel and cafe signs. 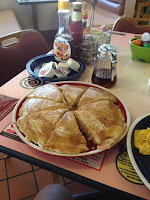 We stopped for breakfast at 1st Street Cafe. They have the biggest pancakes we have ever seen, even Les couldn't eat it all. Just outside of Grants we crossed the Continental Divide. This is the second highest point on the route at 7,263-feet. 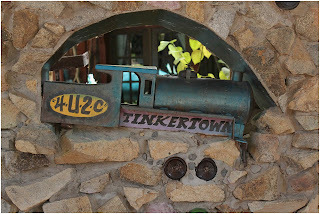 There is also a salvage yard with a sense of humor, or lack of storage space. Gallop is called the "Indian Capitol of the World". 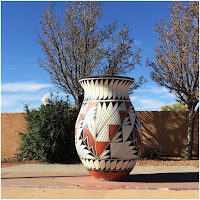 There are so many stores and trading posts we lost count. 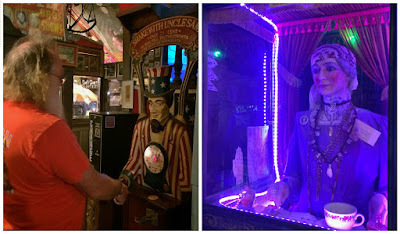 We wandered in and out of all of them and had fun looking at all of the trinkets. 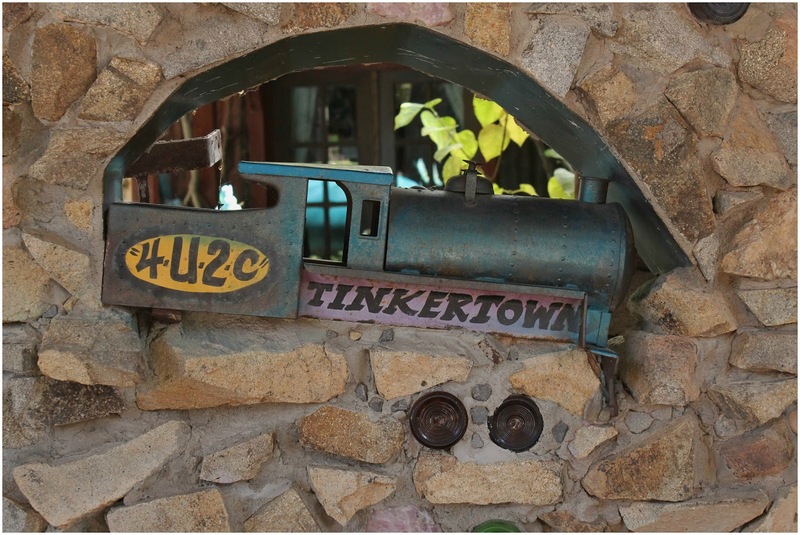 Living in 400-square feet has curbed any desire to own them but they are fun to look at. Nancy did add to her collection of beads and charms at the bead store. 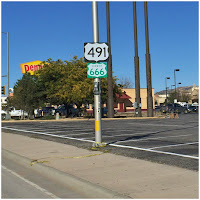 Highway 666, runs north out Gallop, one has to wonder if there is a higher number of accidents on that road. We found some roadside oddities, large pottery on the sidewalks. A giant Kachina, a Mufflerman that seems to be missing his muffler, and a stature of a Navajo Code Talker. There is a fun sculpture called Galoop that looks like a giant hot wheels track. The Babe Ruth Park is filled with incredible metal statues. 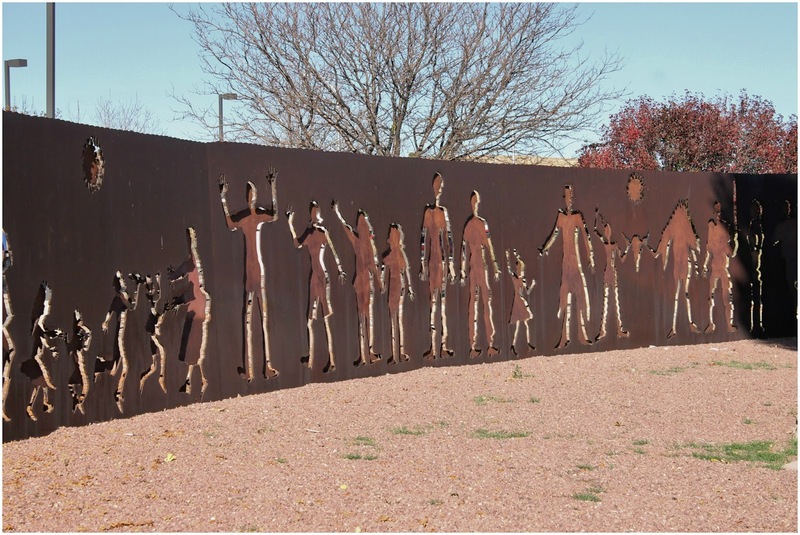 A half circle metal wall that has cut-outs of people on it is called "We The People", surrounds the other sculptures. 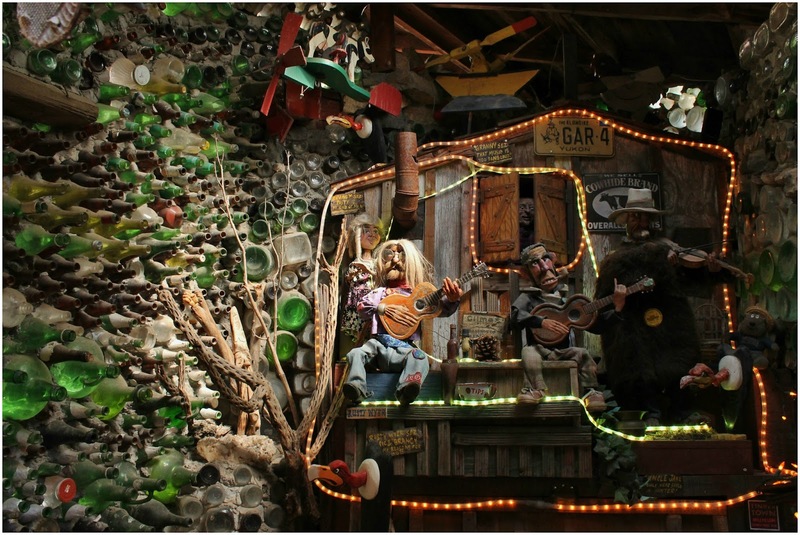 There is a grouping of what appears to be a lecture taking place and a dreaming cowboy and mermaid. There was of course the usual Route 66 motel signs as well. 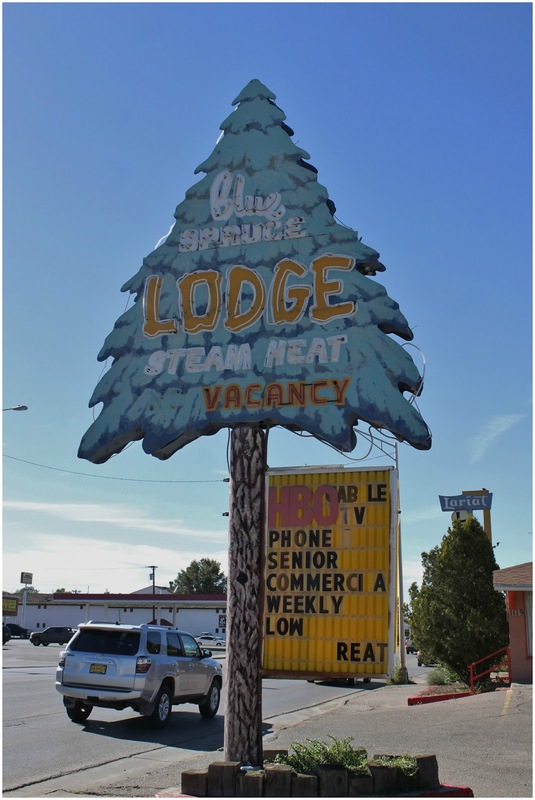 The Blue Spruce was different than most. The El Rancho Hotel was opened in the late 1930's and quickly became a popular spot for Hollywood's A-list. 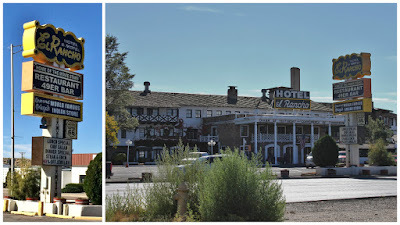 Katherine Hepburn, John Wayne and Kirk Douglas are just a few who stayed here. Next stop is Sun Valley, AZ. 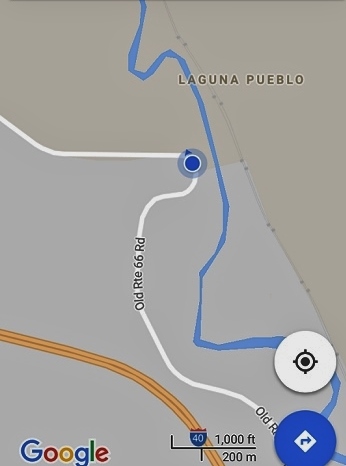 ~ Before you head to your next location it is best to check the area for grocery stores, easy to do on Google Maps. At our last stop we were a block away from a grocery store and didn't shop before pulling out. Set up at the next place only to discover we needed the basics, bread, milk etc and the closest grocery store was over 20 miles away. Lesson learned.